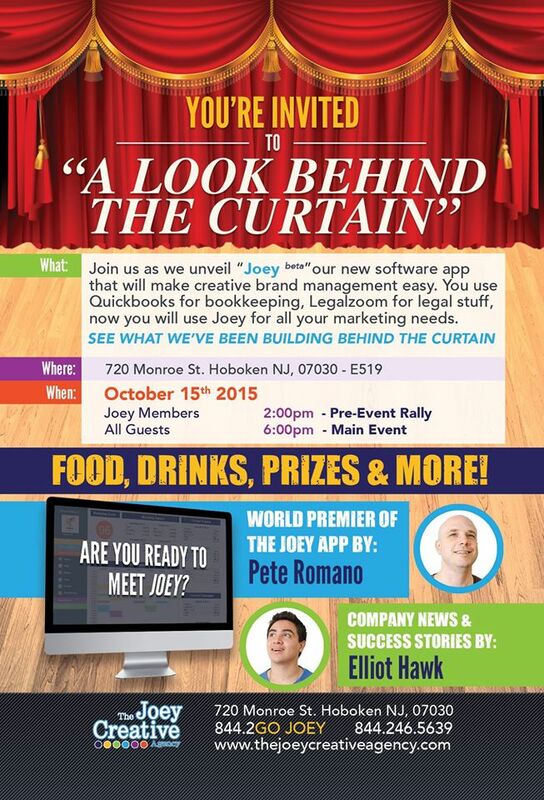 The Joey Creative Agency is hosting an event on Thursday October 15th, 2015 at 6pm! Join us in the expereince as they unveil “JOEY” their brand new software application that will make creative brand management easy. You use Quickbooks for bookkeeping, legalzoom for legal stuff, now you will use Joey for all your marketing needs. SEE WHAT THE JOEY TEAM HAS BEEN BUILDING BEHIND THE CURTAIN. The event starts at 6:00pm. So Stop by for food, drinks, prizes and more!